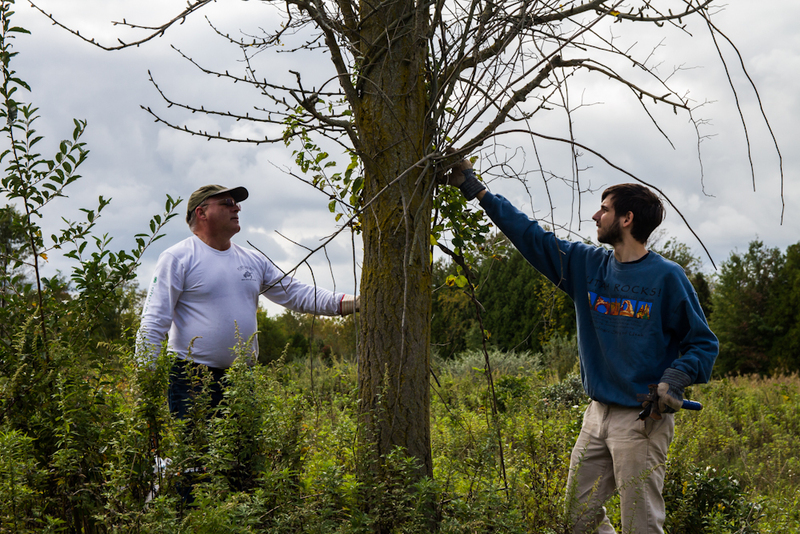 Friends of Princeton Nursery Lands and Kingston Greenways Association will host the annual National Public Lands Day work session in the Mapleton Preserve on Saturday, September 30, 2017, from 2 to 4 pm. National Public Lands Day is the nation's largest hands-on volunteer effort to improve and enhance the public lands Americans enjoy. FPNL and KGA invite the public to play a part and contribute to the restoration of the Mapleton Preserve, the former home of Princeton Nurseries and a significant historical site in Central New Jersey. FPNL's focus this year is clearing brush, vines, invasive saplings and shrubs, and collecting litter. Volunteers are asked to bring their own loppers, pruning shears, saws, rakes and shovels. Sturdy shoes, work gloves, long pants, long-sleeved shirts and hats are also recommended.